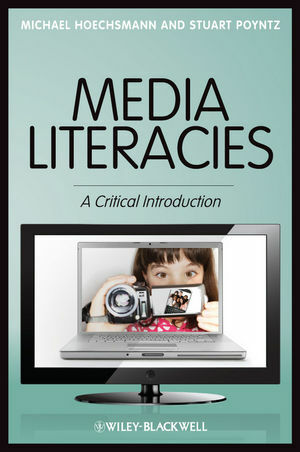 Media Literacies: A Critical Introduction traces the history of media literacy and grapples with the fresh challenges posed by the convergent media of the 21st century. The book provides a much-needed guide to what it means to be literate in today’s media-saturated environment. Michael Hoechsmann is Associate Professor and Chair of Education Programs at Lakehead University, Orillia. He is co-author of Reading Youth Writing: ‘New' Literacies, Cultural Studies and Education (2008), and the former Director of Education of Young People's Press, a youth-oriented non-profit news service. Stuart Poyntz is Assistant Professor in the School of Communication at Simon Fraser University, and the former Director of Education at Pacific Cinémathèque, Western Canada's leading film institute. He has published articles in the Review of Education, Pedagogy and Cultural Studies, Sociology Compass, the Journal of Curriculum Theorizing, the Canadian Journal of Education, Taboo: The Journal of Culture and Education, and various edited collections.